It’s inevitable! You’re in the kitchen, taking out your roasted veggies from the oven and you touch the hot top of the oven (you knew you should have worn those oven mitts, but you didn’t). Or you’re out in the sun for the first time after a long winter, and you’re a bit too eager to soak it all up. 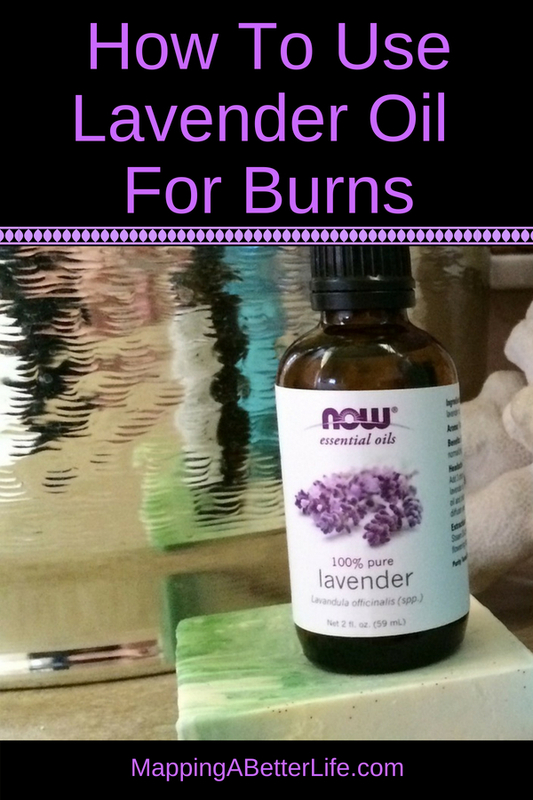 Let’s look at how to use lavender oil for burns, so next time you need it you’re prepared. 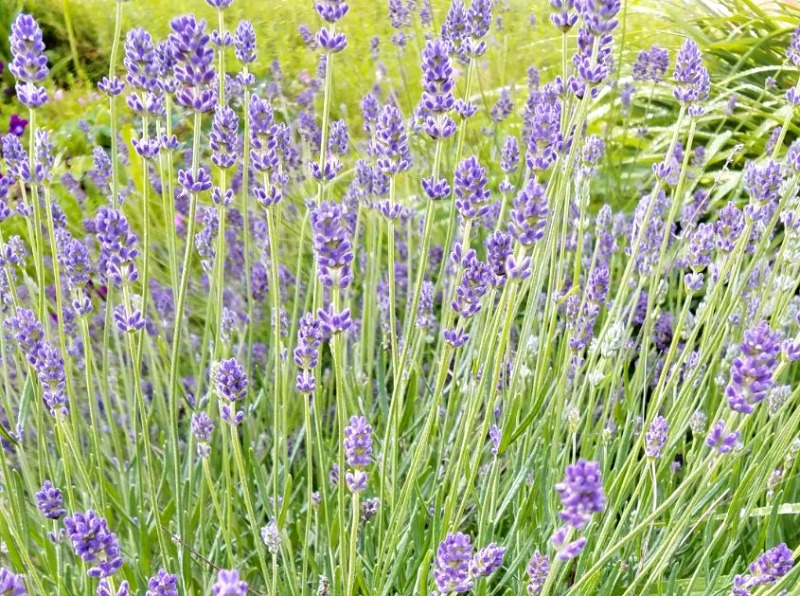 Lavender oil is known for its calming properties, for helping with sleep and great for bug bites. But did you know it also helps heal burns? I should know! I was drinking (really) hot tea and playing RummyKub with the family, and somehow I managed to knock my cup of tea in my lap. Oh… the pain! I literally jumped up and started stripping. I knew lavender could help with burns, so I ran to my bedroom where I keep my oils and literally slathered lavender oil on my tights. By this time my legs were on fire, and my skin was red as a beet. And unfortunately, the lavender I just put on my legs wasn’t helping. So, as I was in a lot of pain, I started to think as fast as I could why would this happen. And then it dawned on me: I used the lavender oil neat on my legs. While lavender is OK neat most of the time, in this case, it wasn’t getting into my skin properly. I grabbed the coconut oil from the pantry, and added some to my legs. The pain stopped immediately. It was almost hard to believe, but it’s just what happened. Thankfully, I used the oils fast enough and my skin didn’t blister. It was red for about 24 hours, but once I applied the coconut on top of the lavender oil, the pain stopped and I was able to go on about my day as usual. Remember to add a carrier oil before you apply essential oils. Here’s my favorite recipe for burs with lavender oil: I keep this in my fridge and it has saved my skin a good number of times. Use liberally immediately after getting burned. Planning to go to the beach? You need to pack a small jar of this for your beach vacation. Lavender is a miracle worker for sunburn. The above recipe helps sunburn as well, so take a jar (or bottle) of it with you on vacation. Even if you end up not needing it for burns, it also helps with bug bites and small scrapes. But you can also make a small jar with just coconut and lavender oils. 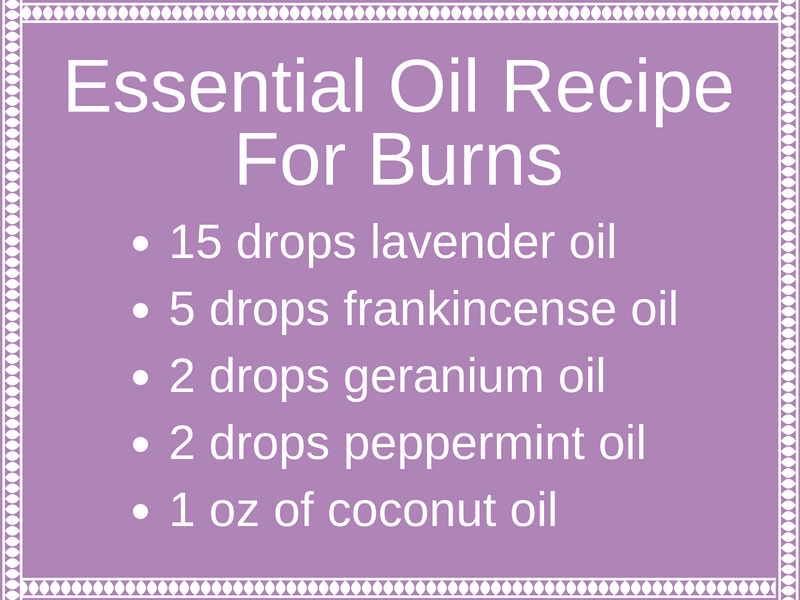 Use about 30 drops of lavender oil for an 1 oz. of coconut oil. Use this combination in the evening after you come back from the beach and shower off the sand. I use it even if i don’t get a sunburn, becasue it keeps my nourished soft and moisturized.